Equipment Trailers For Sale | T.P. Trailers, Inc.
Our selection of light and heavy duty equipment trailers will get your equipment to your destination safely and quickly. 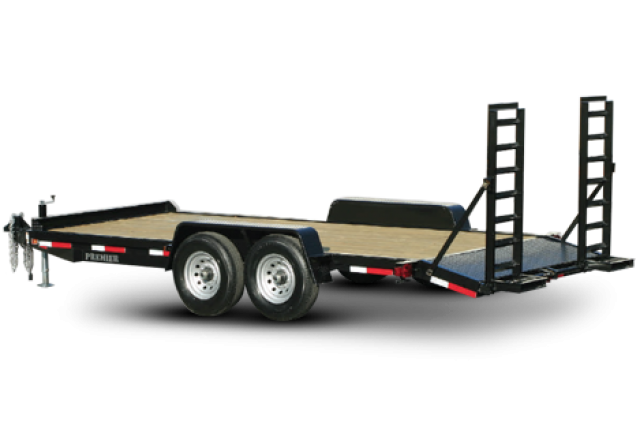 We carry a broad-range of equipment trailers in various sizes, load capacities, ramp options and more. Whether you would like a pressure treated wood deck or aluminum trailer, there’s an equipment trailer for sale that meets your needs. Additional features include dual jacks, wide deck, lockable toolboxes, electric brakes, ramps, LED lights, diamond plate fenders and much more. Stop by to check out what we have in stock! Looking for a dependable and durable selection of equipment trailers for sale? If so, then your search is over because Cam Superline has a wide range of sizes, styles, colors and models available. Get your equipment trailer that includes electric brakes, 5’ quick release ramps, LED lights, stake pockets, a tool tray with a lockable lid, hemlock or pressure treated wood decking and so much more. 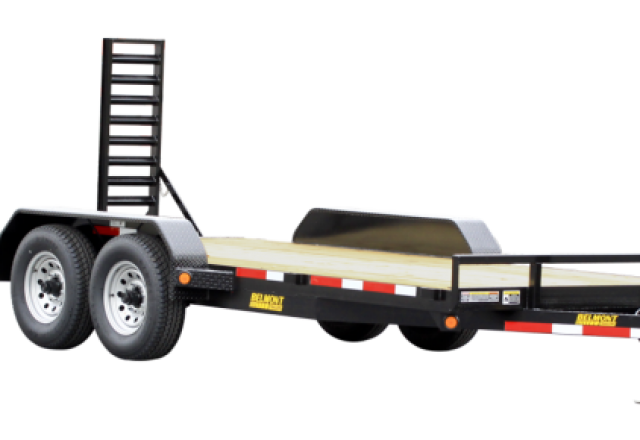 Belmont equipment trailers are some of the best trailers out there. No matter what your specific needs may be, Belmont has the trailer that you have been searching for with fork pockets, binder and chain storage, rub rail, stake pockets, pressure treated wood decking and 5’ ladder ramps. 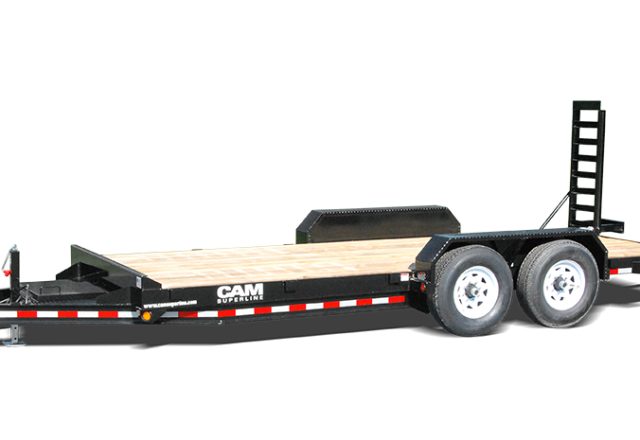 Premier equipment trailers are well known for their quality and durability. At Premier, they take pride in every equipment trailer they build by adding features such as stake pocket tie downs, 2’ beavertails, 5’ ladder ramps, diamond plate fenders, chain basket and electric brakes. You can be sure you are getting the very best in quality and excellence. There are many different equipment trailers for sale. See first-hand why the Aluma name stands for quality and excellence. 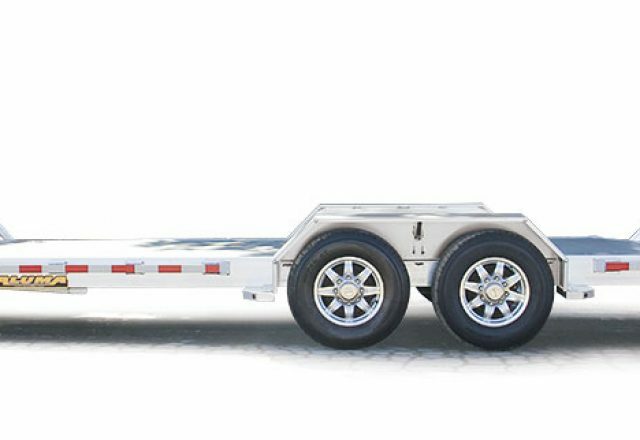 We have an equipment trailer that will work for you that includes removable aluminum fenders, 5’ aluminum ramps, a 30” beavertail, recessed tie downs, stake pockets and rub rails. Make sure you give us a look and see what we have to offer! Wonderful & Very Helpful, the staff were friendly too.